What’s up! This is just a quick note to let you know that I recently started designing tanks and tees that can be purchased online here. I plan to add more designs in the next few weeks, so if you’re interested, be sure to follow me on Instagram and/or Facebook to see them as they’re uploaded! This entry was posted in cats, Clothes, crossfit, Fitness, gardening, lifestyle on December 7, 2017 by heatherhomefaker. I put all my Christmas decorations away yesterday and now my house looks so sad and boring. But do you know what is NOT sad and boring? Meal prep! OK it’s kind of boring but it will definitely make you happy to have delicious and healthy food at your fingertips every time you get hungry during the week. LIES! You totally got time fo that. Meal prep has 100% changed my nutrition game. I didn’t start to see real changes in my body until I started paying more attention to my food, and the only way I’m able to stay on track with my nutrition is to take some time on the weekend to prep healthy meals for the week ahead. I’ve been thinking of starting a Meal Prep Monday feature where I tell you what I’ve prepped for the week, and I figure the new year is probably a good time to finally kick it off! I love getting new meal ideas from bloggers so I don’t get bored, so hopefully this will help you think of some different ideas to try. I should note that I subscribe to what I call a “flexible meal prep” philosophy. Some people find it easier to prep and eat the same meals/snacks every day of the week. If I ate the same meal every day I would go crazy by day 2, so what I like to do is make a big batch of a healthy protein and/or carbs on Sundays and use it in a bunch of different meals throughout the week. Sometimes I do chicken and sweet potatoes, other weeks I’ll do ground beef and rice, etc. If you’re new to food prepping and are feeling lost, here’s a bit about my method: I do my grocery shopping on Saturdays and my prep on Sundays. On Friday evenings, I sit down and make my shopping list for the next week. My first step is figuring out what I want to prep for lunches for the week. I work full time, so it has to be something that’s easily re-heatable and also portable in case I have to take it to work with me. Then I take the extra step of entering my lunches into MyFitnessPal for the next week. After that, I add my breakfasts to MyFitnessPal. I basically alternate between three breakfasts (protein pancakes, oatmeal with egg whites, and Kodiak Cakes with eggs), so this step is really easy. After that’s done, I’m able to look at my macros for each day and see what I’m short on so I can plan for dinners. This sometimes involves what I call “Macro Tetris.” If I’m high on carbs one day, maybe I’ll switch my breakfast from oatmeal to protein pancakes. Or maybe I’ll plan a dinner of chicken thighs and veggies. If I’m low on carbs, I’ll plan a dinner that involves rice or pasta. It sounds high maintenance, but once you do it for a few weeks it really takes no time at all. The key is to find a lineup of recipes you love, and then cycle through them so you never get bored. If you’re just getting started and all that is giving you a panic attack, then just start by prepping some healthy food on Sundays so that you don’t find yourself in the McDonald’s drive through at lunchtime or after work. I start with cauliflower rice/crumbles (available in most grocery stores, including Walmart), then top with chicken, avocado, onion, plain Greek yogurt, cherry tomatoes, salsa, and sometimes cheese if I have enough fats 🙂 I’ll usually dump whatever greens I have in my fridge on top as well! Mix shredded chicken with 1/2 an avocado and season with salt and pepper. I’ll eat this as a sandwich on whole wheat bread, or roll it up in a FlatOut wrap. Another thing I like to prep are snacks. Sometimes I’ll hard boil a dozen eggs to have on hand, or just pre-portion Greek yogurt so I can grab it and go. It doesn’t have to be hard! For lunches this week, I made a double batch of Juli Bauer’s Pizza Spaghetti Pie. You guys, this recipe is SO AMAZING. I know I said I get bored eating the same thing multiple days in a row, but this is one recipe I look forward to eating for multiple days. I modify the recipe just a tad by adding mushrooms to the sausage and onion, and sprinkling a little Parmesan on top for the last 15 minutes of baking. It’s one of those recipes that seems to get even tastier re-heated, making it a perfect make-ahead meal. Do you have any favorite food prep meals/recipe? Let me know! This entry was posted in Fitness, Food, Health, healthy living, life, lifestyle, Recipes and tagged fitness, Food, health, healthy-living, recipes on January 2, 2017 by heatherhomefaker. Everyone I know is excited to sweep 2016 under the rug and usher in 2017, and while I agree that 2016 sucked in a lot of ways (RIP, EVERYONE COOL), I am having trouble getting excited about 2017. First of all, I’m still trying to wrap my head around what life in the U.S. will be like under our new president-elect. I know Star Wars is all trendy right now, but maybe we should have drawn the line at electing a giant, slimy worm-man as the leader of our country, AMERICA. Policies aside, my face morphs into the scream-face emoji whenever I think about having to look at that mug for the next four years. Oh, ALSO I just found out that the next season of Westworld won’t be released until 2018, which means no new episodes in 2017, which means 2017 is officially trying to ruin my life. First of all, I’m aware that needing to make this a resolution means I’m a garbage human. I totally admit that I’m terrible about my skin. I do wear sunscreen every day because I’m pale and if I don’t I’ll get a sunburn from the lightbulbs in my office, but basically I just use makeup remover wipes at the end of the day and that’s the extent of it. I don’t even use a moisturizer because literally every single one I’ve tried makes me break out, and I’m too lazy to go to a dermatologist and explore why that might be. That said, I’ve decided that I have to get my skin care routine together because I’m 32 and if I don’t I’m going to look like Jabba the Trump by the time I’m 40. Dave’s parents got me a Clarisonic Plus for Christmas, which I am super excited about. (Maybe they really like me, or maybe that was their way of saying, GET IT TOGETHER, LEATHER FACE.) I’ve only been using it for a week and my skin already feels so much smoother. I’ve got a small breakout situation on my chin, but I’ve heard that often happens when people first start using it, so I’m pushing through in the hopes that it’ll make me in age in reverse like Jennifer Aniston. Oh, and I’ve also been using eye cream. I don’t really know if it’s doing anything, but I feel really responsible when I put it on, so. 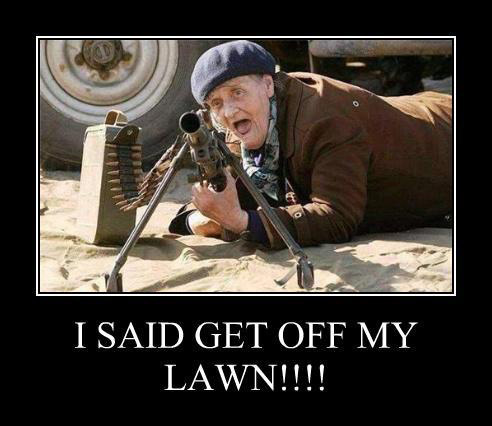 If it doesn’t work I may do this. I TOLD YOU THESE WERE DUMB. I like having painted nails, but I can’t ever seem to make it more than 24 hours without chipping my polish. Gel manicures last a long time, of course, but they get expensive and also they make my nails really thin and gross. Enter: Essie Gel Couture. I got some of this for Christmas, and it lasted through a whole week, including CrossFit! I’m on day seven and have a few minor chips that you can’t really see unless you get really up-close – I’m calling that a huge success. Plus, it’s super easy to use – you just apply two coats of color and then one coat of the topcoat. No UV lights are required, AND it comes off with regular polish remover. If I were a professional manicurist, I’d be afraid that this stuff would put me out of a job. I think three is enough. So now you tell me some things: What are your goals for 2017? Did you achieve your goals for 2016? Do you have any thoughts about why moisturizer gives me pizza face? Do you hate me now because I made fun of Trump? This entry was posted in Beauty, Fitness, life, lifestyle, Lists and tagged humor, life on January 1, 2017 by heatherhomefaker. 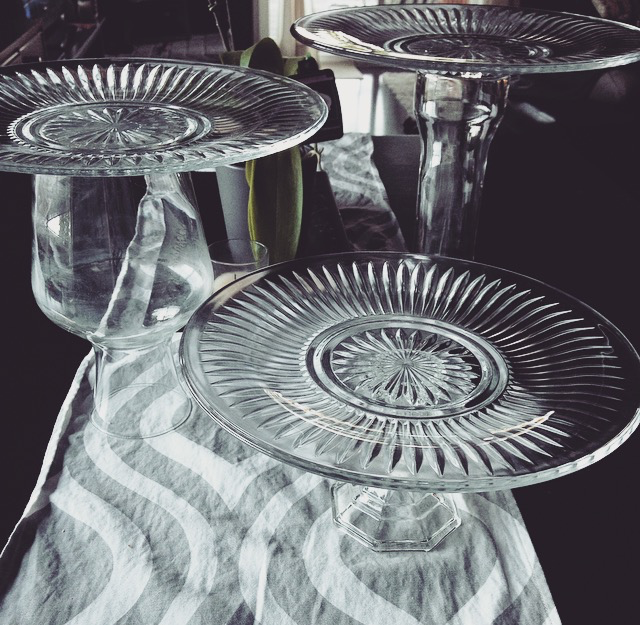 Last weekend I made these cake stands out of thrift store/dollar store finds for an upcoming party. 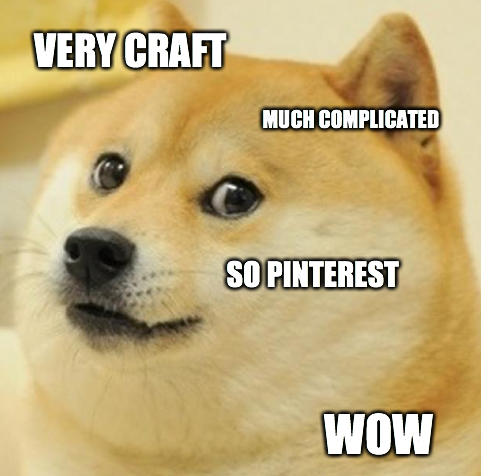 I was going to post a tutorial, but it turns out it’s super simple and I don’t want this to turn into one of those Pinterest-bait “how-to” posts about projects that could be carried out by a moderately bright tapeworm. I swear I once saw an entire post devoted to a “recipe” for raspberries stuffed with chocolate chips. – Find some vases/wine glasses/other glass vessels of varying heights. – Buy glass plates at the Dollar Store. We were out of super glue, so I bought a tube of this super mega industrial strength adhesive at Walmart. I noticed midway through my project that the packaging was covered in warnings about cancer and/or kidney failure. I wasn’t in a well-ventilated area and got it all over my hands, so who knows how long I’ve got left. If a day goes by and I haven’t Instagrammed a cat photo, send someone to check on me. – Dave is making mini blackberry-lemon cheesecakes with lemon-infused crusts for the upcoming party mentioned above. I’ll try and talk him into guest-blogging the recipe, because he makes the greatest cheesecake ever and also he’s a funny writer. Feel free to peer pressure him in the comments. – Ally McBeal is on Netflix Instant, and I’ve been bingeing on it regularly because IT IS SO FUNNY. I remember watching as a kid and thinking of them as “old people,” and I was kind of appalled to find out that they’re only supposed to be in their late 20s. I’M OLDER THAN RICHARD FISH, WHAT IS HAPPENING. 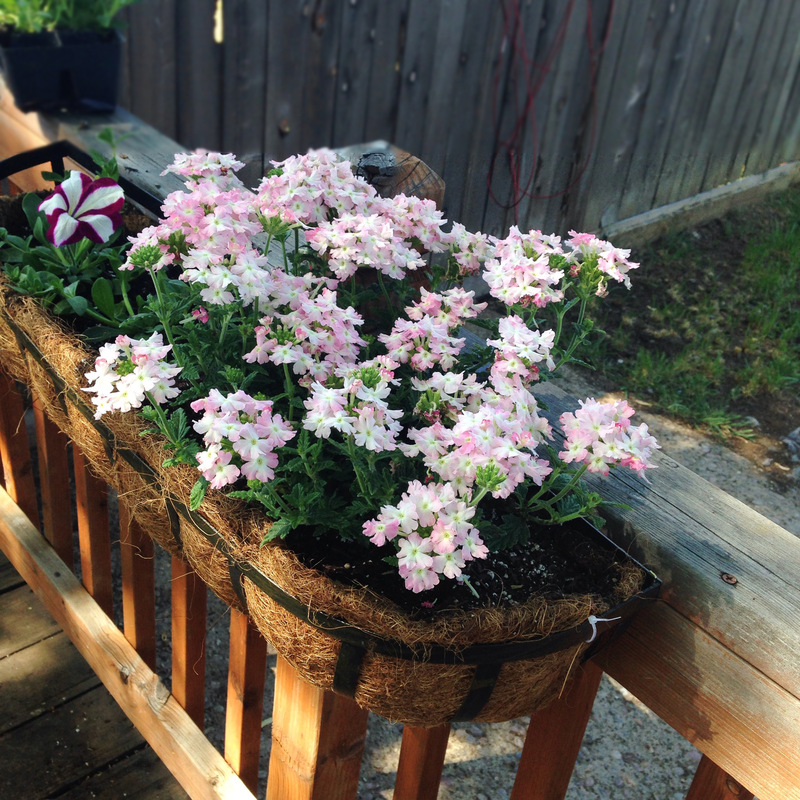 This entry was posted in diy, Home, lifestyle, Stories and tagged DIY, home, life, stories on May 28, 2015 by heatherhomefaker. 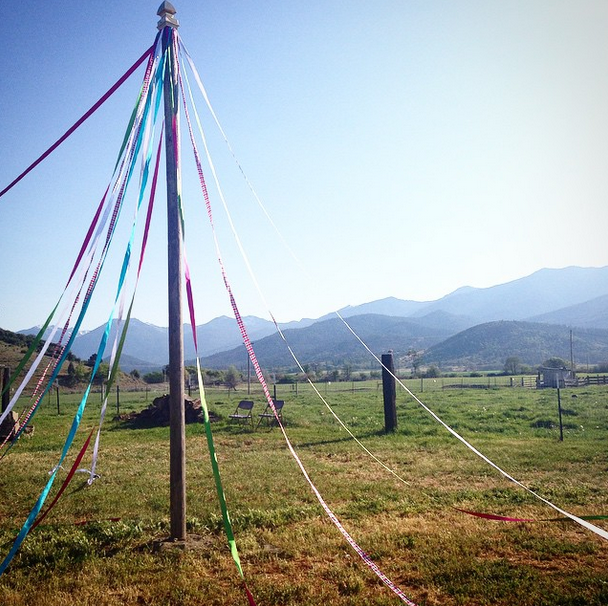 Sadly, I did not drink enough beer to show off my sweet maypole dance moves. 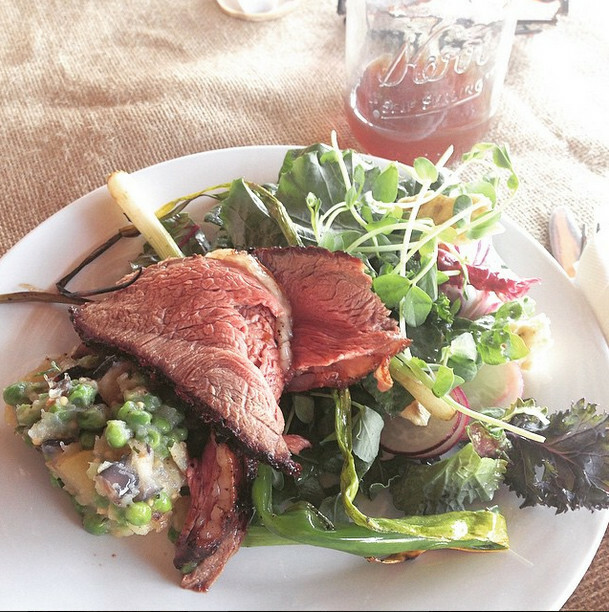 They served a fantastic dinner of their grass-fed beef, a just-picked-from-the-ground salad, and warm potato salad. This ranch is so cool – their cattle live in green, wide-open pastures, they don’t brand or rope their animals, and they make the slaughter experience as decent as possible (read more here, if you want.) I may have had a few beers and then decided to purchase a $40 tri tip. 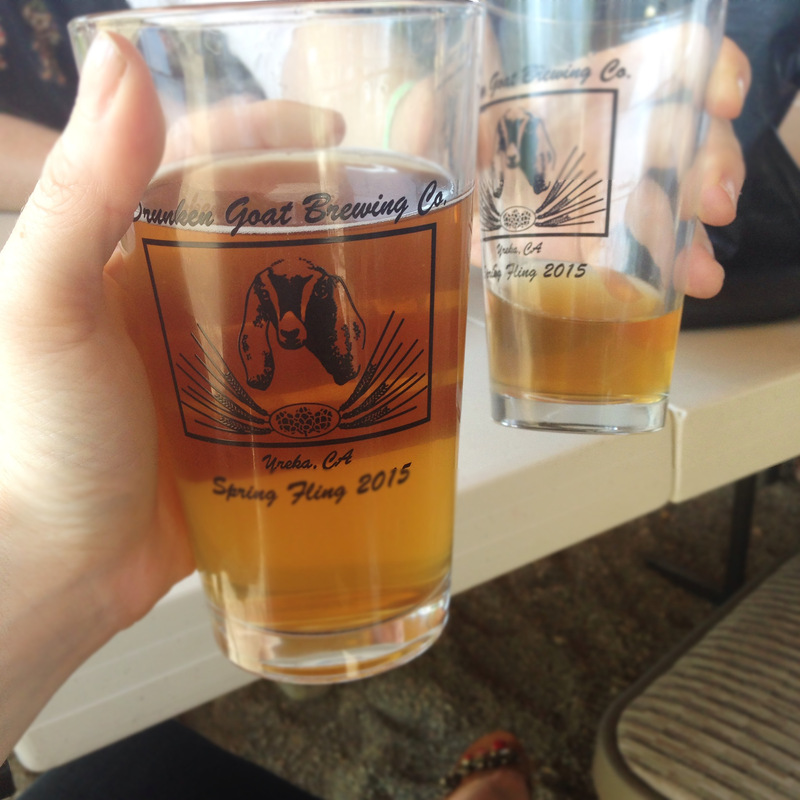 On Saturday, we headed over to a cool little brewery called the Drunken Goat for a tasting event. This might be my favorite local event ever: You pay $12 for a pint glass, and then they give you all the beer you want. So it wasn’t so much as a “tasting” as it was a mid-day bacchanal that left me with the world’s worst hangover. But still, it was worth it because $12 ALL YOU CAN DRINK BEER. I very much resembled that goat by night’s end. After the beer tasting, we went to our friends Rob and Jenn’s house to watch the Mayweather-Pacquiao fight. Rob didn’t make us his famous grilled cheeses, but I’m going to forgive him because it was his birthday. HAPPY BIRTHDAY, ROB! Now make me a grilled cheese. I leave this afternoon for a work trip in Reno, and then the day after I get back I’m heading down to Redding to watch my brother compete in his first bodybuilding competition. My main goal from that event (besides cheering for my bro, obviously) is to get a picture of my grandma posing with some mostly-naked juiceheads. WISH ME LUCK. 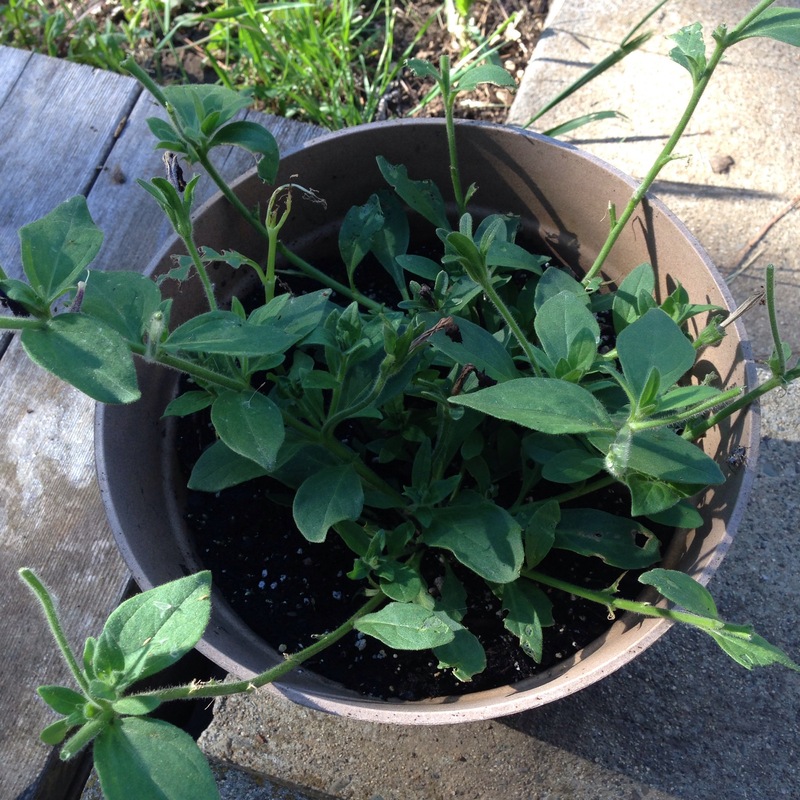 This entry was posted in lifestyle, Stories and tagged animals, lifestyle, stories on May 5, 2015 by heatherhomefaker.